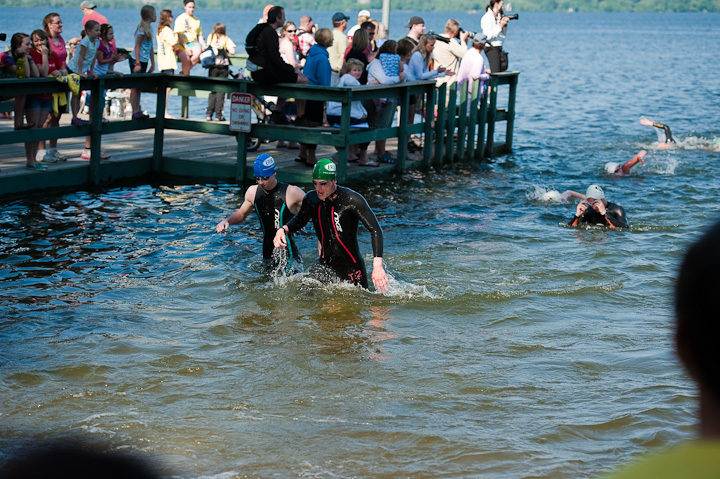 Last year in August, Matt and his mom competed in the 2010 Lakes Area Triathlon. After it was over, they were both hooked. They had "caught the triathlon bug." They joined a local multi-sport group in the fall and working on learning to swim correctly and well throughout the winter. Both of them went from not really knowing how to swim, or at least not knowing how to do it well, to being awesome at swimming. 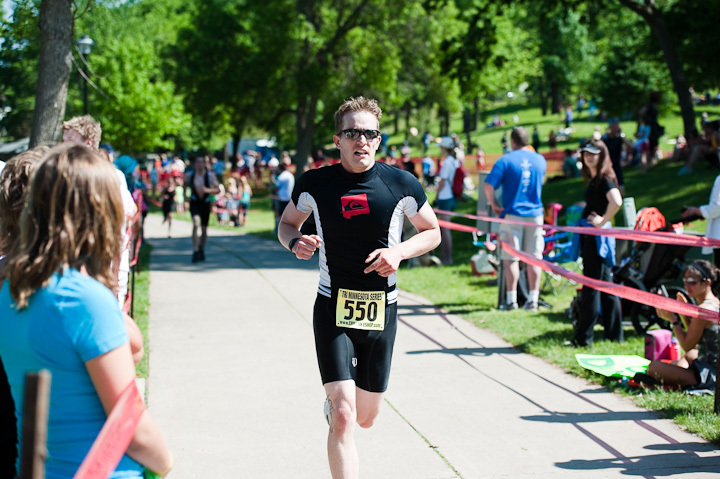 Matt registered for 4 spring triathlons for this 2011 summer, and his mom registered for 3. 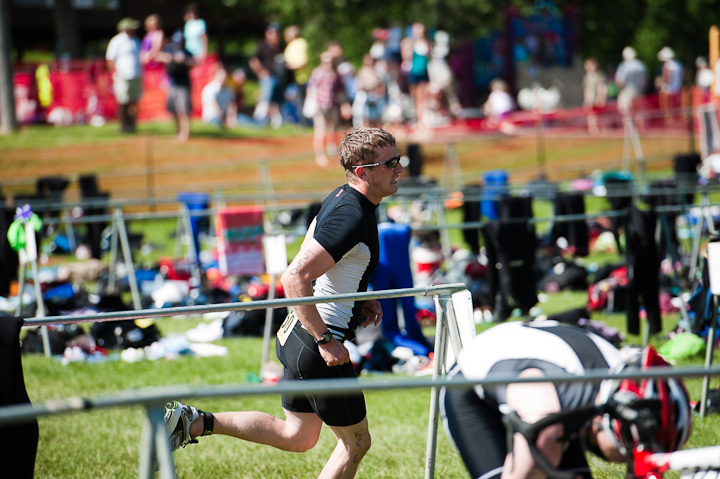 Now that summer is here, Matt's weeks include training for all three of the events: swim, bike and run. 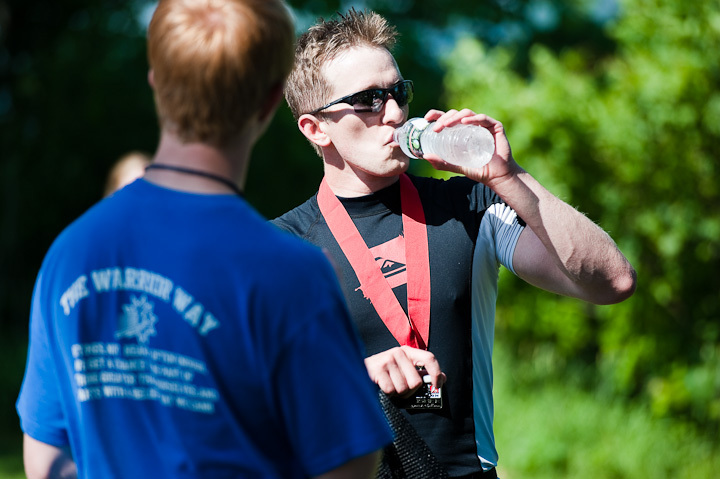 June 5th was the first of Matt's 2011 triathlons. 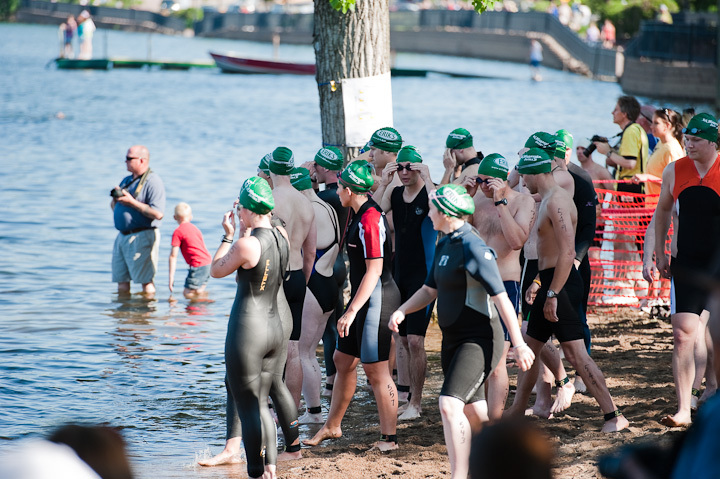 Buffalo, Minnesota was bursting with people as over 1,400 people congregated at Buffalo Lake for the Sprint and Olympic distance triathlons. 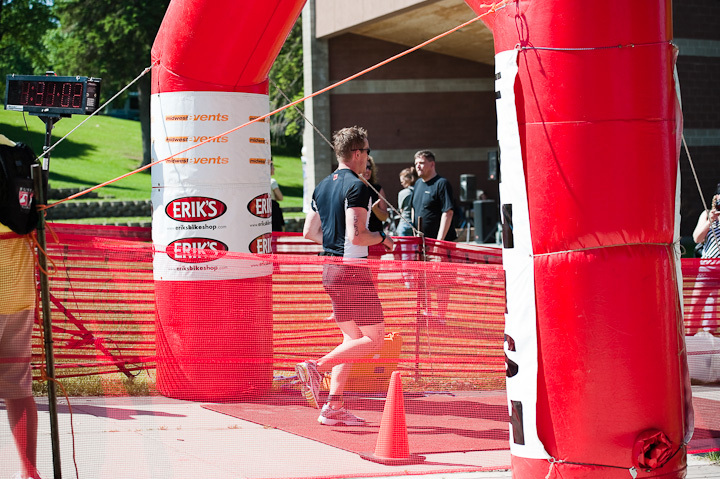 Last year, there were maybe 500 people who entered the Brainerd one. This was almost 3 times that many! Once the raceday begins, the next heat begins 2 minutes [or was it 3?] after the one before it. 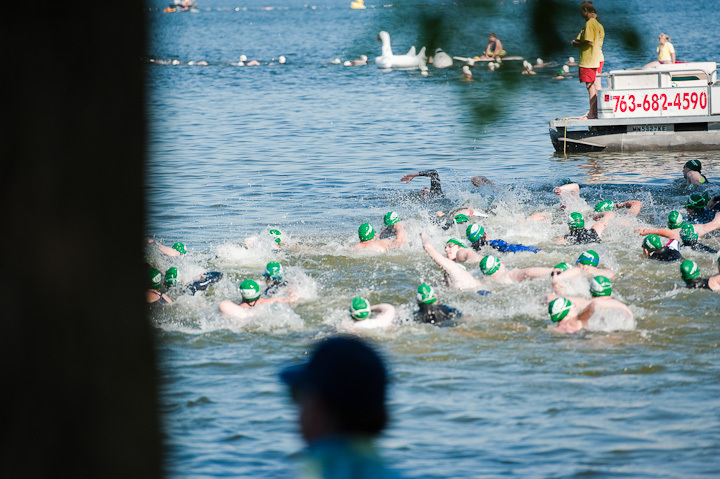 The reason is to decrease the chaos in the water, and to spread out the swimmers along the course. Matt's heat getting ready for their start. 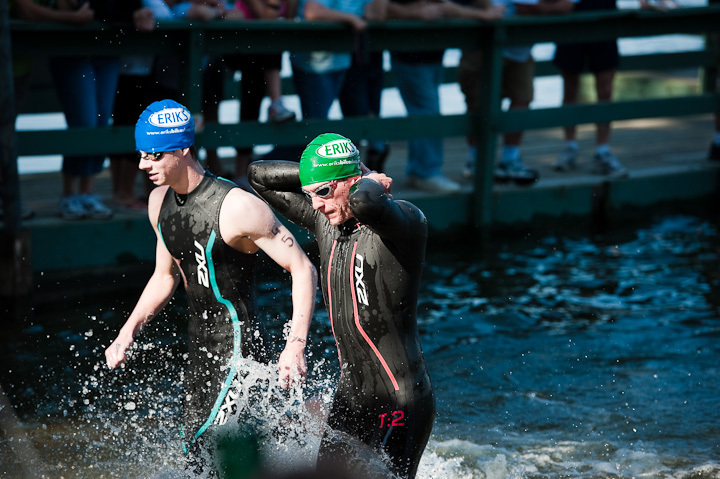 He is adjusting his goggles, along the left edge of the tree, in a black full body wetsuit. See him? Matt finished the 1/4 mile swim in 5 minutes and 40 seconds. Since I don't know anything about how fast is fast, let's just say that his Tri group, and Matt himself were impressed and pleased with the time. He's an awesome swimmer! I'm proud. Then came the transition to the bike. We wove our way through the crowd on the beach and arrived at the transition area just in time to see him take his bike out of it. 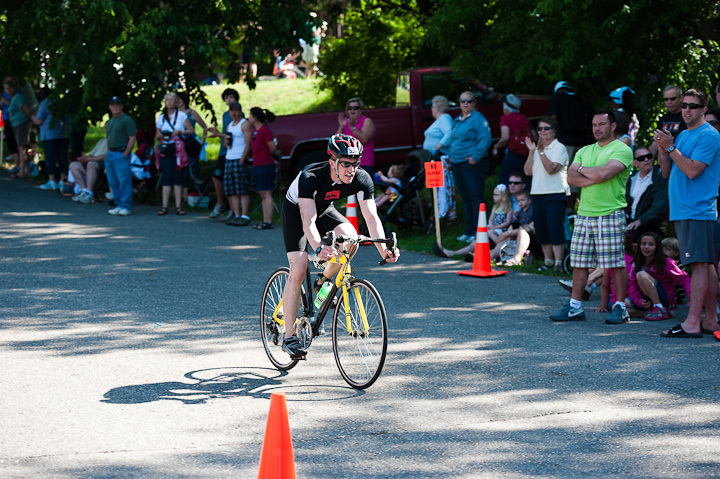 We ran to the top of the hill and saw him start the bike portion. 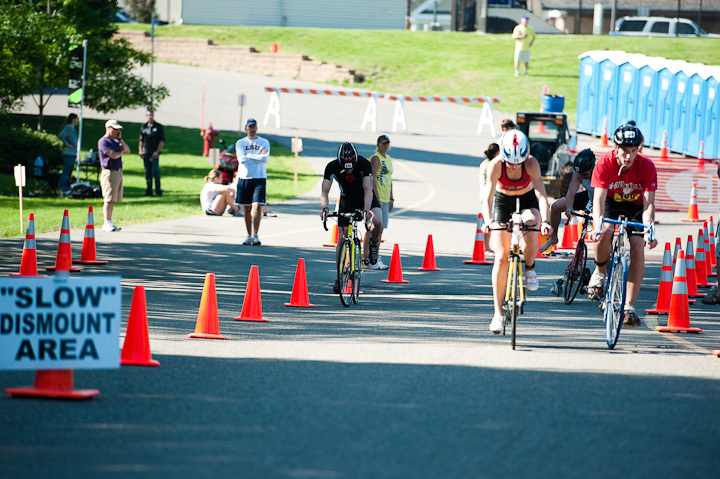 Poor triathletes come out of the swim and then have a hill right off the bat that they have to go up. 40 minutes later, he came around the hill after 13.3 miles and made his way back to the transition area to change into running shoes. 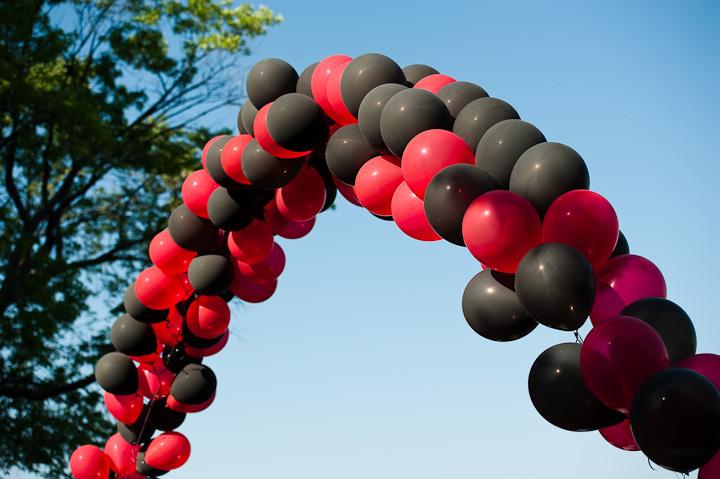 Then, he was off again to run the 3 mile course. We [my parents came down with me to cheer Matt on!] and Matt's family secured a spot by the finish line so we could watch him come in. 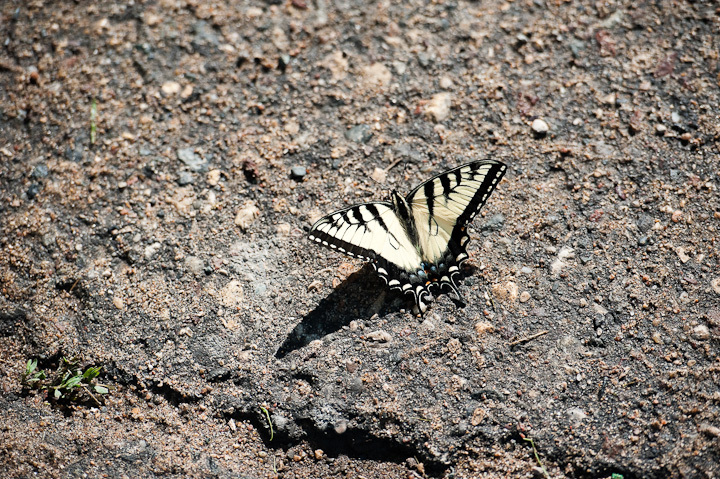 My dad spotted a pretty tiger swallowtail. And then, just under 23 minutes later, Matt came cruising into the finish line. Ok, so he probably wasn't cruising, but he makes things look effortless. I'd be crawling in. He looked like he was having as much fun as he was at the beginning. He looks winded for about 10 seconds, and then looks like he just went for a stroll in the park. I'm so proud of how he did, and he's happy with his results too. Total time: 1 hour 13 minutes 2 seconds for 1/4 mi swim, 13.3 mi bike, 3 mi run. His goal was between 1 hr 10 min and 1 hr 15 min [stretch goal-realisitc goal] and he came in right in the middle. Since the triathlon, he's upgraded his bike to one that is half the weight as his previous one, and it's specifically made for triathlons. 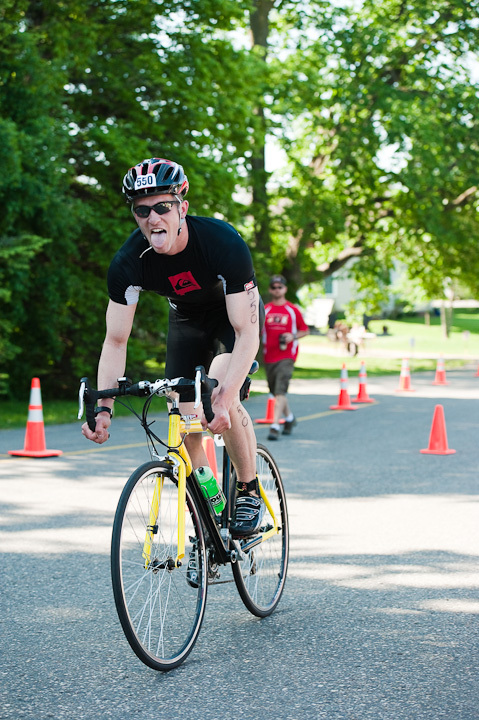 His next triathlon in July will be even better!